A few moments ago, my good friend at The Guardian – Robin Hough – sent out a Facebook post that David Droga of Droga5 was doing a live chat with the Guardian Media community online. You don’t often get facetime (via a comments board) with a legend like this. My question, and his great answer are below, and I’m sure you can still view the whole fantastic conversation here. David and GMG, thanks for today. My question to David: Do you believe in creative legacy, and if so, what would you like yours to be? As a typical creative I am all ego and insecurity. My main goal was to change MY advertising industry not THE advertising industry. But if I can nudge us forward a little and into a better place I would be very happy. Creativity for the greater good is where I aspire to be. There is no category or issue that couldn’t benefit from smart creative and strategic thinking. I love this answer and I think it’s a plate full of food for thought. 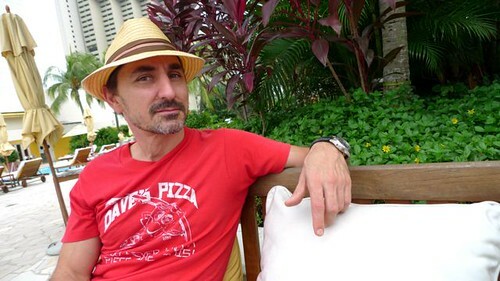 Tweet me to discuss it, especially if you have read the full live chat, and you can follow David Droga on twitter @ddroga.